Is it possible to travel to a beautiful, sun-kissed tropical destination on a budget? Believe it or not, it is possible! Although such destinations have a reputation for being very pricey, and to be fair a lot of them are, by knowing where to look, looking for great travel deals, and traveling in the off season you can still have a wonderful vacation in a sultry landscape even if you’re on a tight budget. 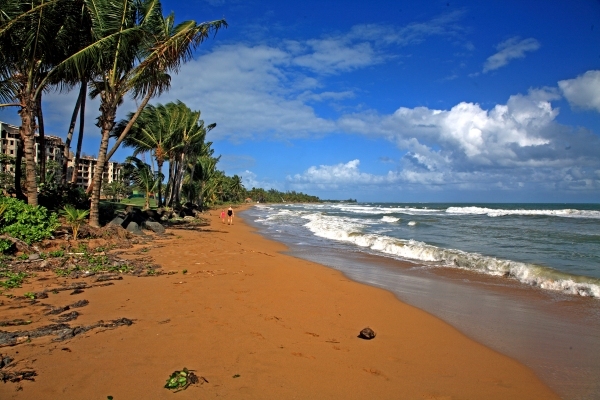 Let’s take a look at the 10 cheapest tropical destinations that won’t break your wallet. The Yucatan Peninsula is one of Mexico’s best playgrounds. With its stunning beaches, warm water, friendly and laid back atmosphere, and first class resorts the only problem that you might encounter is actually leaving at the end of your stay! What makes this tropical destination cheap is the fact that many of the resorts are all-inclusive. This means that for one price you get your room, all of your meals, entertainment and recreational opportunities at the resort, and even drinks. When you go in the off season, you can find great weather and prices that are sometimes as low as $100 per night. For something basic, the Krystal Cancun can usually be found for around $90 per night. If you’re looking for all-inclusive, however, then try the Villa del Palmar All-Inclusive where you will have a ton of activities to keep you entertained for less than $200 per night. 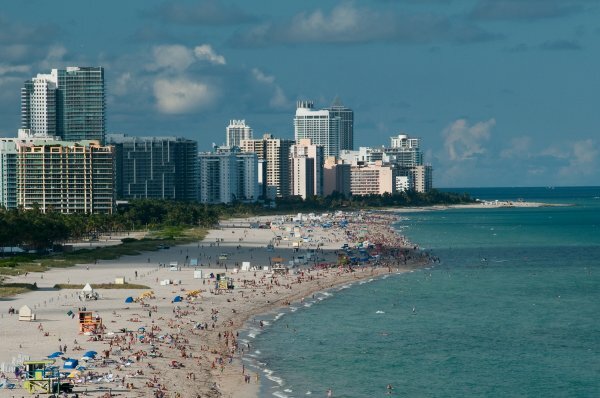 If you’re searching for sunshine and lots of things to see and do then South Beach, Florida is an ideal cheap tropical destination. You don’t even have to leave the United States to find soft beaches and an abundance of good weather! While many of the resorts on the beach can be at the high end of the price range, if you go even a block away you can often find rates for around $100 per night even during the high season. Even better is the fact that there are many discount airfare carriers that can get you to the area sometimes for as little as $59 one way, depending on where you are flying from. The South Beach Plaza Villas are a half block from the beach and offer guests bathrobes and flat screen TVs for a mere $80 per night. Puerto Rico is becoming more and more popular for American visitors, but you still won’t find it overrun with tourists. This beautiful little topical island has managed to maintain its tropical, yet decidedly European, feel throughout the years. Whether you want to lounge on one of the beaches or wander through the cobbled streets of Old San Juan you’ll be sure to enjoy your stay here. Many US cities offer discount vacation packages that include flights and start at around $250, depending on the season. The hotel Numero Uno Guesthouse has a good restaurant and a small swimming pool and has rates at about $150 per night, too. 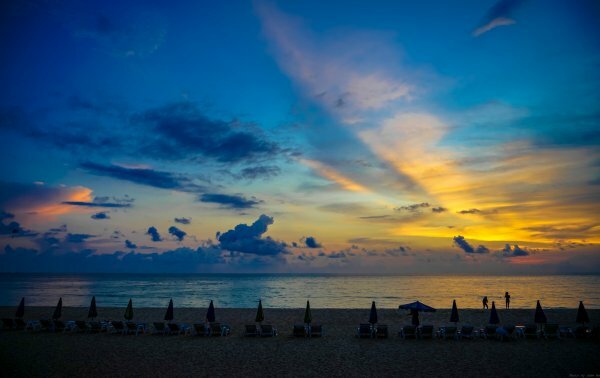 Phuket is one of Thailand’s most popular tropical destinations, and with good reason: It’s absolutely beautiful. A host of tropical islands are at your fingertips to be discovered and there’s plenty of sailing, snorkeling, scuba diving, and even golf to keep you occupied when you’re not hanging out on the beach. While airfare is going to be high to get there, it will also be your biggest expense. You can find hotels starting at an unbelievable $30 per night making this one of the cheapest tropical destinations you’ll find. One of the top resorts, the Imperial Adams Beach Resort, boasts a pool and day spa and has rates at around $80 per night, even in the high season. 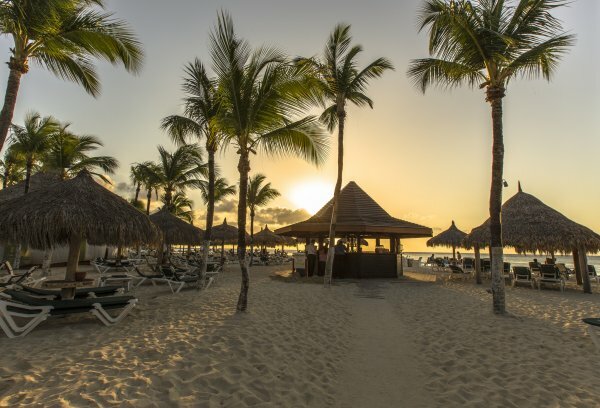 With lots of casinos, beaches, spas, and gorgeous scenery you can’t deny Aruba’s charm. 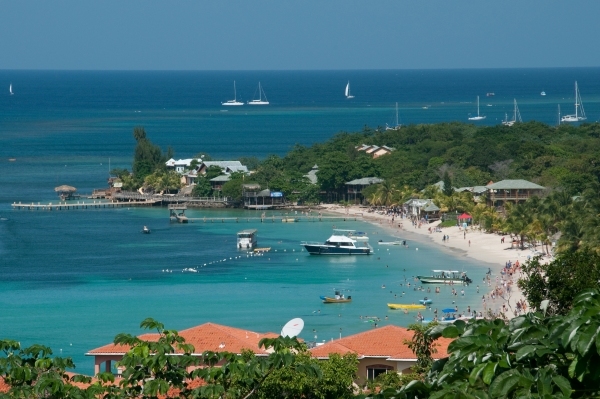 It’s also one of the most affordable Caribbean islands. While some of the larger hotel chains like the Hyatt and Marriott might be on the expensive end, you can find good bargains at places such as the Mill Resort and Suites where you can come across rooms for $80 per night. Although Croatia might not be high on your list of tropical destinations, it should be! 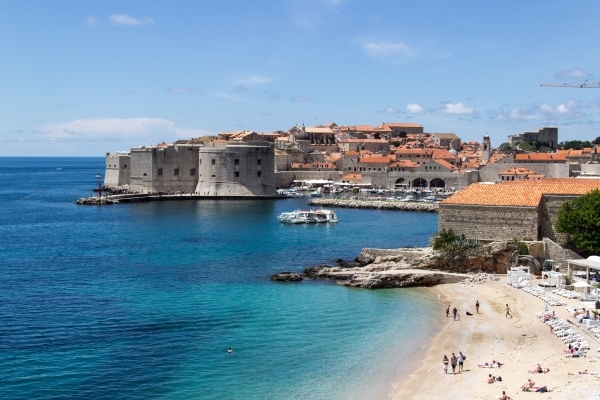 Crystal clear water, rambling castles, delicious food, and a distinctive Mediterranean vibe all await you in the beautiful city of Dubrovnik. You’ll be amazed at the low prices that you’ll find here, too. If you get off the beaten path, it’s still possible to have a four course meal with wine for less than $20 per person. Guest houses start at an almost impossible $20 per night. Even the Hilton Imperial Dubrovnik has incredibly low rates at $110 per night and it’s considered to be one of the finest hotels in the city. 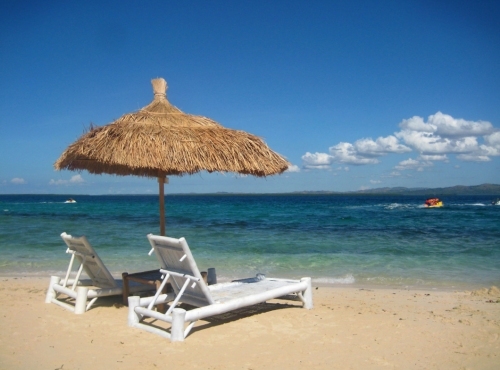 Most people visit the Dominican Republic for its nightlife, exciting casinos, and gorgeous beaches. There’s also a great selection of museums and shops on hand, too. This is one Caribbean island that can be visited without breaking the bank too much. All-inclusive resorts can help you save some cash and one of the best is the Victoria Golf & Beach Resort where you can spend a day out on the green or relax on the beach for less than $120 per night. 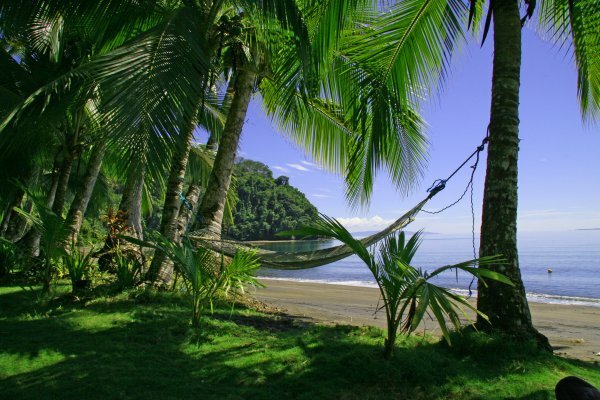 If you love being outdoors then you’ll be sure to love tropical Costa Rica. A day trip through one of the rainforests is something that shouldn’t be missed. That is, if you can drag yourself away from the beach! On the Caribbean side of the island, the Coral Hill Bungalows have beautiful little private units set amidst a tropical paradise for only $100 per night making this one of the cheapest tropical destinations. Roatan, Honduras boasts the world’s second largest barrier reef, making it a great destination for those who like to scuba dive and snorkel. Of course, it’s also a good place to visit if you’re simply looking for an affordable tropical destination, too. It doesn’t have a lot of tourists yet, or big chain hotels, and many people like the laid back atmosphere that can be found there. There are some excellent travel deals throughout the year and one of the best is for the West Bay Lodge where you can stay in a private bungalow and get breakfast for less than $100 per night. Jamaica is full of culture and the unique blend of Asian, European, and African influences will be sure to spellbind you during your stay there. With weather that’s nearly perfect all year round and a simply beautiful landscape that boasts lagoons, white-sand beaches, and tropical mountains you’ll swear that every view looks like a postcard. The Sunset Beach Resort and Spa has a water park and 3 private beaches. During the high season, rates are all-inclusive and can be found at $200 per night.